I recently completed my tenure presiding over the Arkansas Beekeepers Association. It was a true honor to be entrusted with the leadership of the state’s beekeeping trade association. In this role I had great help. A capable team of committed volunteer leaders from all areas of the state played an important role in planning and conducting the association’s tasks. These leaders, the Officers and Regional Directors of the ABA’s Executive Committee, included James Rhein, Larry Kichler, Britt Bailey, Linda Rhein, Alan Isom, Howard Waddell, Steve Cline, Patrick Edwards, Jeremy Bemis, Howard Hawthorn, Richard Coy, Melissa Mencer, and Jon Zawislak. Each of these individuals assisted in conducting our educational conferences and bee equipment trade shows and assisted roughly 30 local beekeeping associations representing 2000 beekeepers. 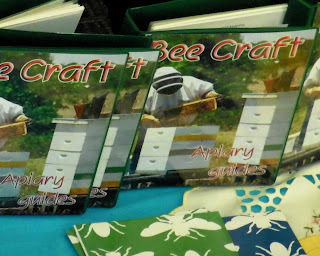 Recent years have found me increasingly involved in training and mentoring of beekeepers. I have been conducting beekeeping training classes with Jeremy Bemis at Bemis Honey Bee Farm in Little Rock, Arkansas. We are finding great interest in beekeeping training, especially among the expanding number of new beekeepers. Further, I was honored to be asked to participate in the development of a new beekeeping college located in one of the villages where I trained beekeepers in Africa. My host, Wubishet Adunga, is building the college located at Bonga in the highlands of southwestern Ethiopia. For this project I edited the curriculum for the Apinec Apiculture Technical Vocational and Education Training College. Beekeeping and production of hive products are important for food security in the developing world. The worldwide communications between beekeepers and the efforts being taken to provide training and protect bees and the beekeeping industry is visible in today’s photo. At a meeting of the Eastern Apicultural Society, I noticed a picture of myself inspecting brood in one of my Arkansas bee yards. The picture is on the cover of training manuals published in England by Bee Craft. The Underhills of Peace Bee Farm wish beekeepers and peace-loving people worldwide that peace be with you.